This lovely, 24 page fully illustrated (in colour) story book is a perfect Christmas gift for 3-8 year olds, that has been purchased and sent to almost every country on the planet. Grandparents, parents and other people with younger children in their lives love to give this unique Christmas tale as a great Christmas gift. Just $9.99 plus taxes, (5 pounds twenty in GB) plus shipping and handling. Author with sign and dedicate a copy for you. 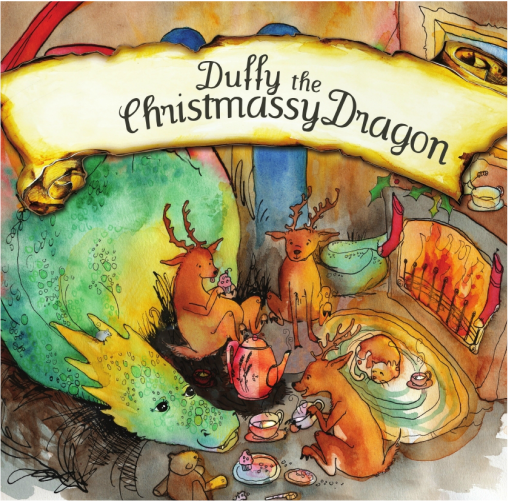 Contact Kate Noble at duffythedragon@gmail.com to order.